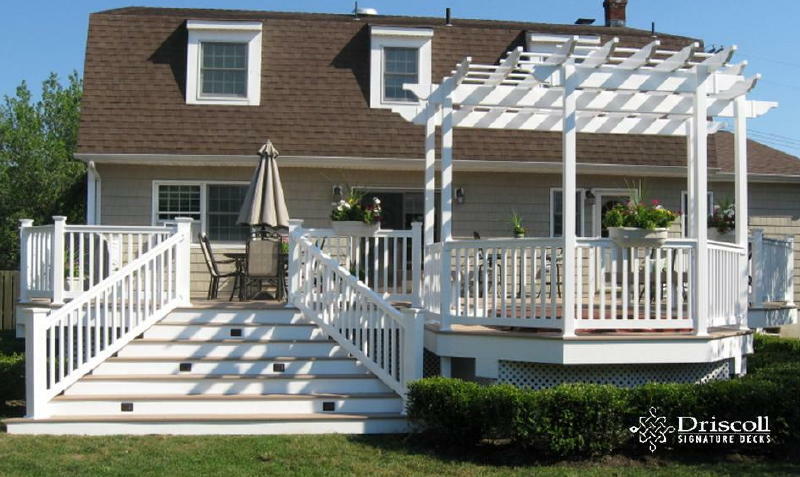 This fabulous Driscoll Deck Solution starts with these Lavallette Decks and is highlighted by a 12′ Step-down octagon with built-in spa in and a pergola overhead, then flared stairs, vinyl decking boards with hidden screws, picture-frames and angle decking board patterns, lovo accent lighting, and a barbeque bump-out, too boot…! 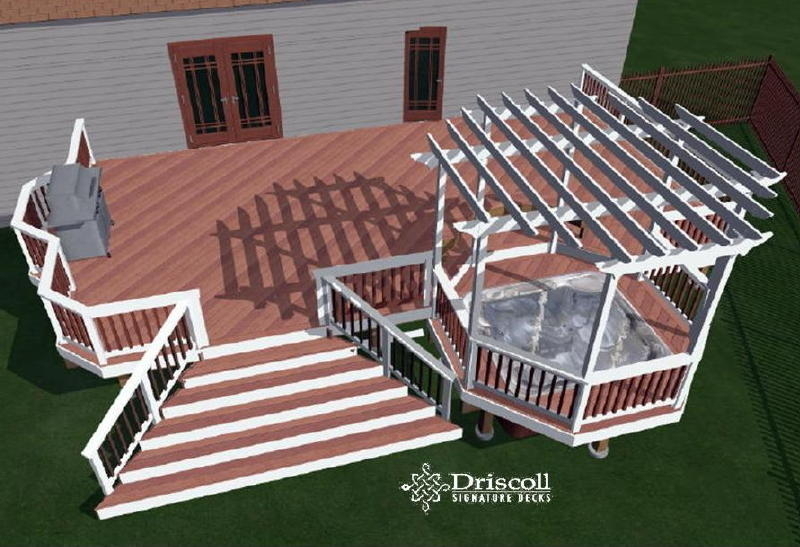 Here is a sample of a Driscoll’s 3-D design renderings, which helps you see exactly how your new deck will look! Please note the attention to detail in this design before you scroll down as we build it out. Our Signature Flared stairs fit right in line with the outside edge of the step-down spa octagon with the pergola overhead. We always start with Driscoll signature ‘robust’ structural framing. We had to know the exact height of the spa to build up our concrete support below it so that the spa cover will sit right under the finished decking boards. This is not only excellent planning, but excellent execution of the plan, as well. 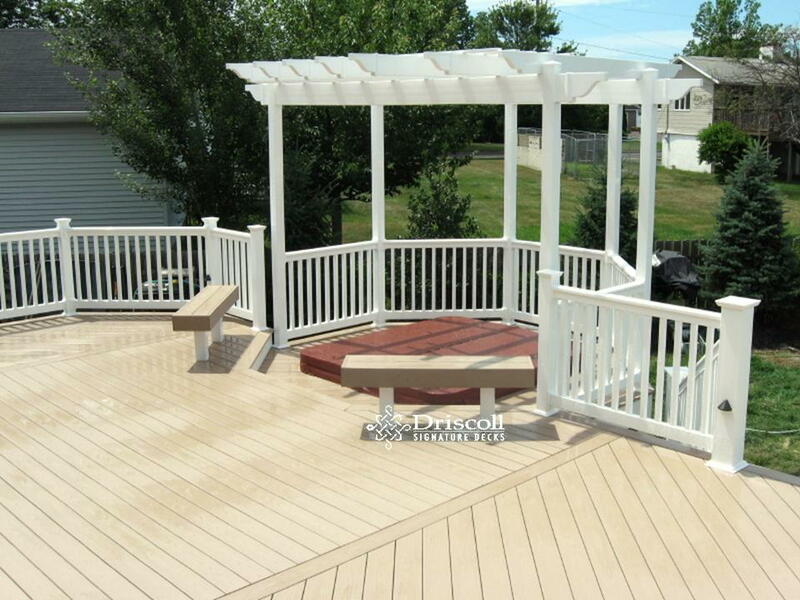 This cellular-vinyl custom deck has a step-down octagon for the built-in spa, with built-in benches and a white vinyl pergola overhead (note the parting board with the unique decking board patterns. Another perfect Driscoll Signature Deck. 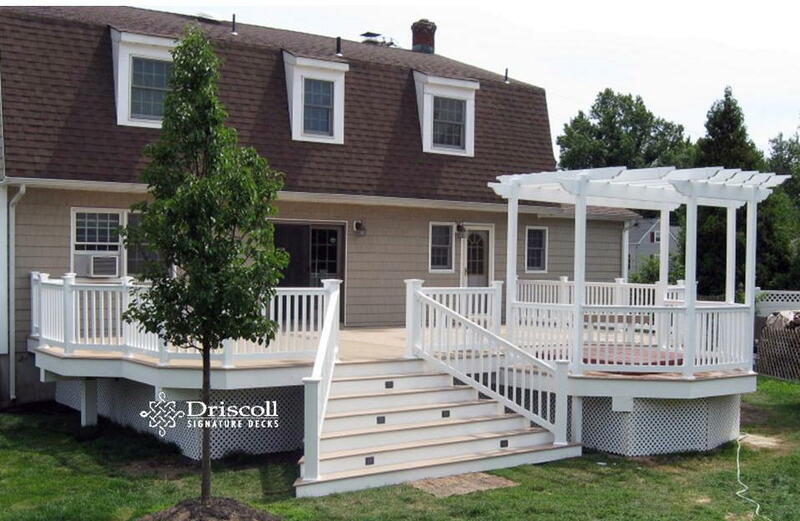 These Driscoll Signature Flared Stairs are built in line with the outside edge of the octagon, lovo accent lighting on the posts, stair risers and pergola and a well-placed special barbeque bumpout on the left side with easy access to the kitchen…! YES! 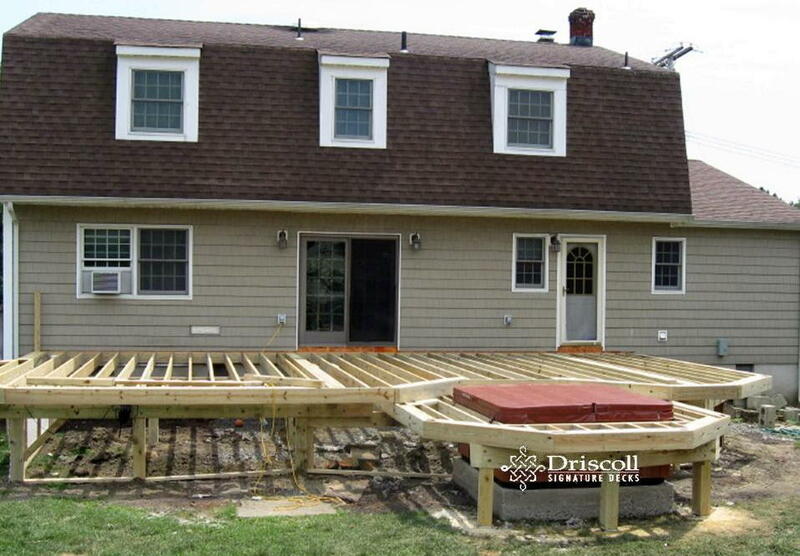 Don’t you just love it when a great ‘Driscoll Signature Deck’ plan comes together!